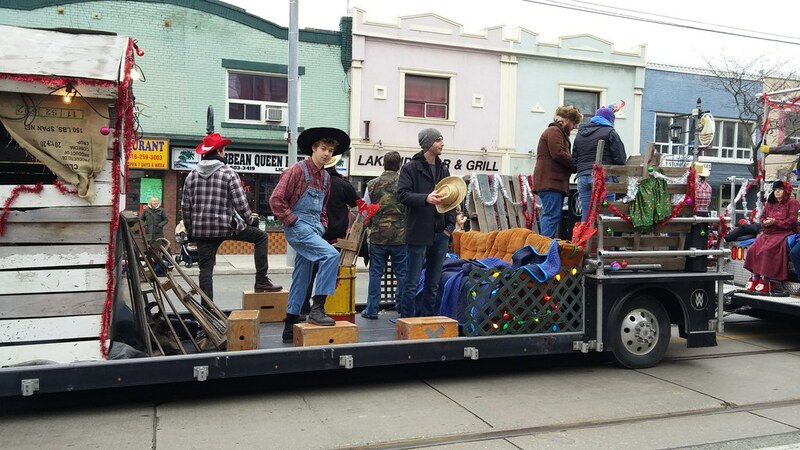 The Lake Shore Santa Claus Parade never fails to amuse me. It's literally the same floats every year, but it's so damn convenient I can't miss it. 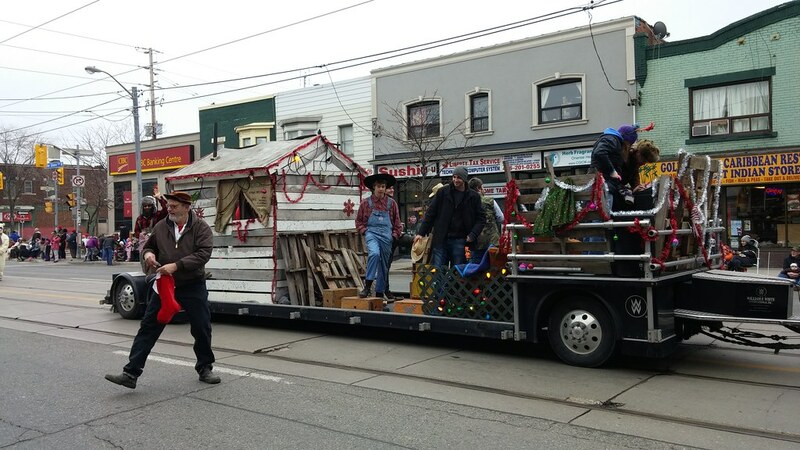 My favourite float every year is the Hillbilly float. I took a few photos to show you what you're missing. I was one block east of you for our annual tradition of breakfast at Lucky Dice before the parade. I almost went to Lucky Dice after the parade. The guy in the blue overalls is creeping me out. Reminds me of our Oakville parade. My brother in low pulled a ski doo trailer with a decorated Christmas tree tied to it for the Block Parents group my sister in law was involved with. It was pretty basic. 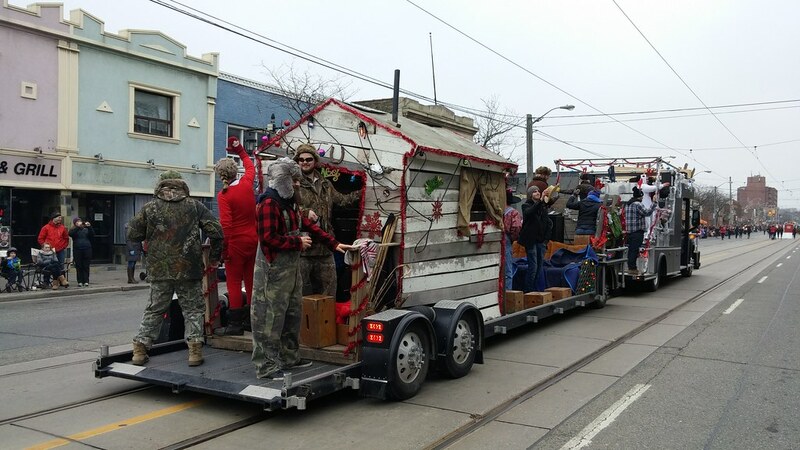 I think we just get spoiled as the Toronto parade just blows everything out of the water. Looking back I appreciated our little parade, and the great thing was you could show up about 15 minutes before it began and get a great view.